We are all explorers. And this Christmas, my family is celebrating that fact with a different kind of holiday gift-giving. This list of 7 great gift ideas plus giveaway are sponsored by Sierra Trading Post, but all thoughts are my own. My oldest daughter, who is away at college, has started to comment (complain?) recently that she thinks her family has been abducted and replaced by outdoorsy adventure-seekers. She claims she doesn’t know who we are anymore. I just chuckle. I suppose it’s true. After we drove across the country to drop her off at school 2 summers ago, we got a taste for travel and adventure and the outdoors and we haven’t looked back. This year, we’ve made a conscious decision to focus on experience-based gifts versus toys and frivolous things. That’s where Sierra Trading Post comes in. If you’re planning outdoor activities, you need to be prepared. Sierra Trading Post makes it easier to explore by offering incredible savings on the best brands of outdoor apparel and gear from around the world. And right now, they’re offering a 15% off plus half off shipping promotion with code ASAVENOW5. Note: Offer available 11/23 through 12/7. Clearance items are excluded from the 15% off, but you’ll still save with 50% off shipping! As we make plans for our winter adventures in Florida, our next family road trip or just explorations around our home town, I’ve been eyeing a few fun gift ideas that are perfect for the adventure-seeking family. For the trail runner or hiker (like my husband), these Adidas Outdoor Terrex Swift R Trail Running Shoes (For Men) would be the perfect gift. A good pair of trail shoes will help him explore even more miles…in comfort! For those times when you have to pack light, this Single Travel Hammock would be ideal. My husband likes to take the kids on bike rides down the C&O Canal in the fall. As beautiful as the bike ride is, they can’t carry much gear on their bikes, so light weight travel hammocks are a welcome comfort when they stop for the night along the trail. For the anywhere explorer, a good backpack is a must, like this Kelty Redtail 27 Backpack. Whether you’re heading on the airplane or on the trail, a backpack is a critical part of your trip to keep snacks and other essentials close at hand. For after a day of exploring, nothing beats a warm, cozy blanket like this Woolrich Meadow Creek Throw Blanket. I get a throw blanket every year for Christmas. It’s something I look forward to each year. You can never have too many cozy blankets! For the adventurous girl, these waterproof, insulated Lowa Yukon Ice Gore-Tex® Hiking Boots for women will take you far. My girls go to a fun week-long camp each year and they need good hiking shoes. Nothing is worse on a long hike than wet, sore feet. My girls will be leading the group with these boots. For the curious kids (little kids and big kids alike) these Steiner Predator Pro Binoculars are perfect for taking in the surroundings and taking explorations to the next level. Whether it’s watching for birds or other critters or enjoying the view up close, we love traveling with a good set of binoculars. For the outdoor-loving cook, you can’t do without a classic Lodge Cast Iron Deep Camp Dutch Oven. I use cast iron for indoor cooking all the time, but I’ve been eyeing a 5 quart Dutch oven with a camp fire lid. Next time we go camping as a family, I won’t go without this staple for outdoor cooking. Sierra Trading Post has great long-term partnerships with the best brand names in the business so they are able to offer super low prices on their very best closeouts, overstock items, and 2nds — then they pass the savings on to you! Closeouts are always first quality; brands often make design tweaks or add new colors to their products. When they do, the previous product is offered at a great price. Overstock items are always first quality, too. If an item is designated as a closeout item, it simply means that the manufacturer’s inventory is too large and they need to sell these extras. 2nds have minor cosmetic flaws or slight irregularities that don’t affect the fit, performance, or longevity of the item, but a small flaw means big savings for you! The labels for these products may be clipped or marked. Enter below to win a $300 Amazon gift card! Giveaway ends December 7. U.S. residents ages 18 and up only may enter. How to enter: Tell us your favorite item from Sierra Trading Post and why you like it in the comments below. ABO Gear Floataway Chair Swing looks like fun! I like the Byer of Maine Hangover Chair. Looks so comfy and reminds me that warm weather will come again. Mountain Hardwear Compulsion Dry.Q® Elite Ski Jacket – Waterproof (For Men) – Beauty! I loved visiting their website. Their tents were my favorite thing to look through. I love camping. 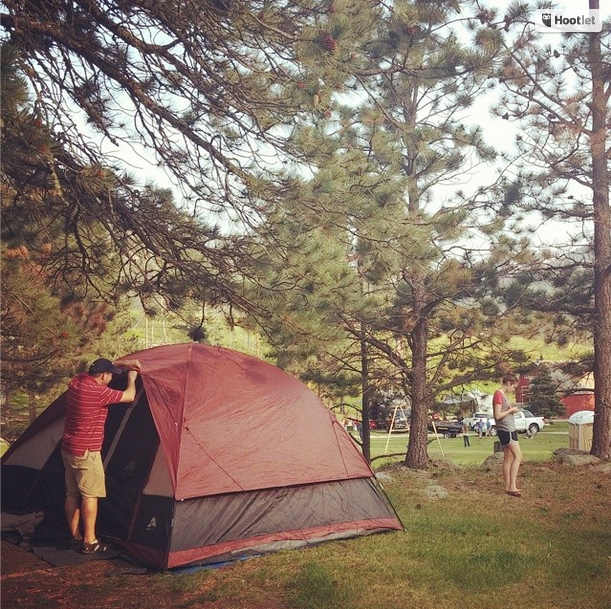 My favorite tent has to be the Marmot Aura 2 Tent – 2-Person, 3-Season. I loved how it was so open for the hot summer months. I like the rag rugs they have. And this REALLY makes me miss the Sierra Trading Post store in Reno, where I used to shop quite a bit. My favorite item is Icebreaker Bodyfit 200 Oasis Base Layer Top – Merino Wool, Henley (For Women)! It’s really hard to choose! So many snuggly fleece jackets, coats, warm socks…but given how cold it is today, the DownTown Reversible Egyptian Cotton Blanket – King- is calling me loudly! My favorite is the SmartWool 2013 Medium Cushion Snowboard Socks For Women.